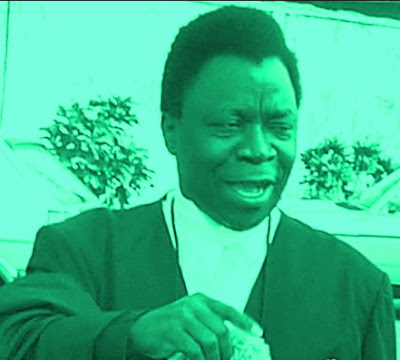 A key figure in Nigeria’s human rights struggle has died. Dr Olu Onagoruwa lost his battle to an age related illness in the wee hours of today Friday the 21st of July 2017. The deceased was the former Justice Minister and Attorney General of the Federation between 93 and 94. Late Onagoruwa who was the Minister of Justice during Abacha regime had to quit the post few months after he was appointed due to agreements with the then military government. 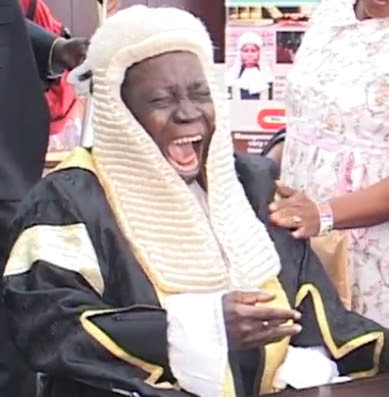 The founder of Onagoruwa Chambers studied Law at the University London where he obtained LL.B; LL.M & PhD before returning to Nigeria where he attended the Nigerian Law School. He is survived by many children and great grand children. crying when his first son was killed in front of his house. @Talker that was the first thing that came to my mind. Rest on pa.
that was dec 1996 when his son toyin was killed in front of his house.